On what was the biggest date in the football calendar, thousands of dedicated young players, coaches, parents and supporters sacrificed a chance to watch England’s quarter final against Sweden match and take part in the Willen World Cup instead. Now in its 29th year, the Willen World Cup is recognised as the leading tournament in the area for children from under 7s to under 16’s and attracts clubs from across Herts, Beds, Bucks and Northants. Hosted by Willen FC, which celebrates its 30th anniversary next year, the 2018 tournament was sponsored by Aqua Parc, Royal Landscapes and MK Dons Set. It offered footie players and fans a chance to take part in or watch a total of over 600 matches. Amongst the local winners were Willen Tigers U11s, Willen Foxes U12s, Newport Pagnell Spartans U13s, Willen Rangers U15s and Stony Stratford Town U16s. Club Chairman, Peter Morris who also coaches two Willen FC teams, is more delighted than ever with this year’s event. 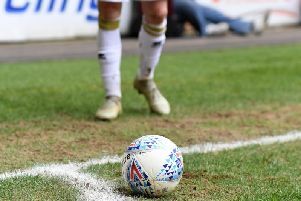 He said: “It must have been tempting for the teams to have chosen to stay home and watch England but I am over the moon that players, coaches and parents chose to put grassroots football first. “Every one of the young players deserves massive praise for taking part and making their teams proud.